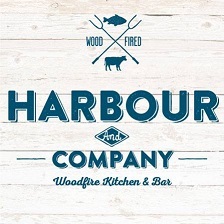 Harbour & Company is about bringing good things together- food, flavours, people and company. Great food and great company go hand in hand. Our passion for great food means we pay attention to the detail; from the way we source and dry age our own beef up to 35 days or how we ensure freshness by getting daily catches straight from local fishermen. We've created our menu and our restaurant to encourage sharing, tasting, talking and relaxing. That's why we've designed tables that make sharing easy and make the most of our unique views across the Copeland Islands and beyond. And so that you can truely relax and enjoy yourself, we keep the company to over 14 years old. We booked for Sunday lunch with very fussy diners and all needs were catered for. Thoroughly enjoyed our meal and the views. There were 4 women sitting 2 tables away from us and their noise levels were horrendous- loud leery and shrieking laughter made it very difficult to hold a decent conversation at our table. At times it was really hard to believe there were only 4 of them! Moroccan chicken very small portion, not good value for money. Bill incorrect. What a fabulous place, friendly staff, great food, good gin! Always look forward to a visit to Harbour & Co. Staff pleasant and attentive. Food excellent. Good selection of beer. Personal attention  of the owners maintains the high quality of the establishment. Fabulous food and service as always! Lovely Christmas dinner on Saturday evening and brilliant entertainment in the bar downstairs. Lovely food great staff and beautiful setting. The meal was excellent to the dessert stage - and then several of the party said they wished they hadn't bothered with dessert as they were very disappointed - especially with the cheesecake. Top ups of coffee would have been appreciated but were not offered. The gin tasting evenings are so enjoyable & the best of craic. Delicious food & 7 tasters of gin plus premium tonic. Great night out for all. Best view in town. Excellent service. Superb steaks. A very pleasant and educational  evening in good company. We ate in the private room above the restaurant as there were 26 of our family over from around Europe for my son's wedding. The whole experience from making arrangements ahead of time with Sarah and Anne to the night itself was excellent. The food from the set menu selection was both 1st rate and very generous with no disappointments. The house wines were very good and the service was lovely. I highly recommend. Thank-you for a special evenning! Highly recommend food lovely, beautiful setting at the harbour. Staff very attentive to your every need will defo be back. Great steak deal! We all really enjoyed our meal. Supberb service!